Shopee, one of the leading mobile commerce platforms in Southeast Asia is proud to present their growing numbers of online vendors. 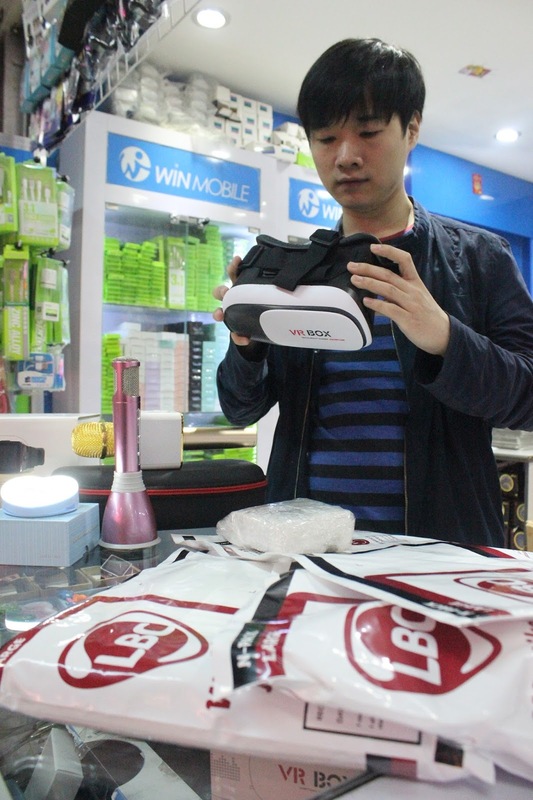 Meet today’s new breed of successful entrepreneurs – who are discovering the enormous potential that mobile commerce platforms have in assisting them in managing customers, growing their businesses and increasing their sales revenues. Smashing common perception that online selling is a female thing, Ian Rey Ordinario (Mr.Sukimoako), Carl Jason Villaceran (Fashionista_cases_mnl), and Juanito Uy (Miel's Mix & Match) are making good business online. The trio has seen their businesses grow over a short span of time with Shopee – the fastest growing mobile marketplace in Southeast Asia and Taiwan. For Ordinario, Villaceran and Uy, Shopee has given them new possibilities for their online businesses. All three reported getting hundreds of inquiries daily, a majority of which translate to actual sales. For instance, Ian Rey Ordinario, a former security guard turned Shopee seller, saw weekly orders for his online shop go from 30-40 when he was still on Instagram and Facebook to 300-400 —a ten-fold increase— after he joined Shopee. His revenue from Bluetooth and personal care items sold on Shopee has enabled him to help his family back in Mindanao. “ I left home to look for better opportunities in Manila. After trying different jobs, I decided to try online selling. That’s where I discovered Shopee. Now, because of Shopee, I can visit my family in Sultan Kudarat regularly and help them with their financial needs.” Ian said. Carl left his full-time job to focus on his Shopee business. 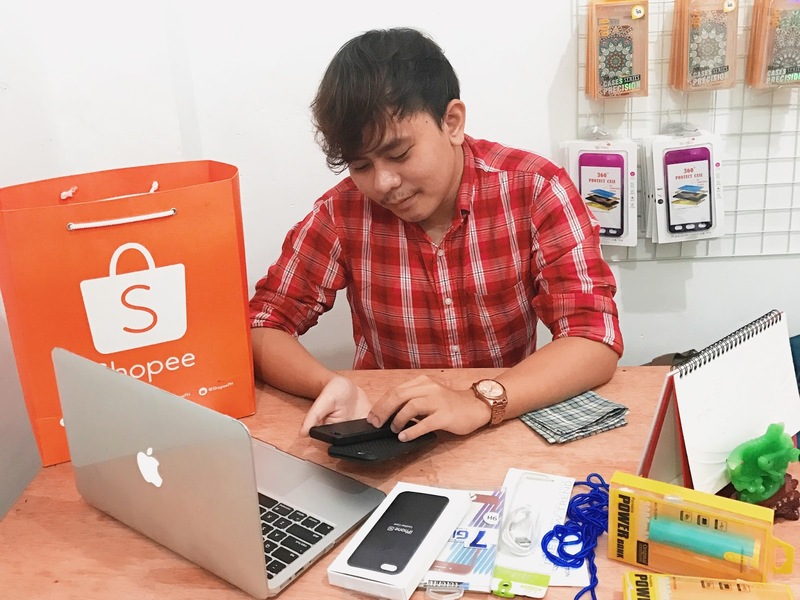 He tried almost all the available selling sites and apps, is amazed at the unprecedented success he has experienced with Shopee, where he sells gadgets. Starting with just P2,000 in capital, his hobby-turned-business grew exponentially, eventually convincing him to quit his full-time job as a software engineer to concentrate on his online business. Juanito a retail storeowner had his qualms but decided to make the move when he learned about the Free Shipping campaign. His sales of mobile accessories, women’s accessories, and home and living items continue to surpass his expectations. His customers appreciate numerous offerings of Shopee such as Shopee Guarantee (a feature that secure buyers when shopping in the app), Free Shipping, and Cash On Delivery. All three have overcome the usual hurdles when starting an online business. Since joining Shopee, earning the trust of potential customers, manually updating them with deliveries, and managing their inventories are no longer issues they face. The trio is happy that they get to serve their customers now with ease. “The core of our business would be our shoppers and sellers and that’s why we always make it a point to make things easier in Shopee. We aim to continually enhance our platform and become the region’s mobile commerce destination of choice,” - Macy Castillo, Head of Commercial Business, Shopee Philippines. Shopee is available for download for free on the App Store and Google Play across the Philippines, Singapore, Malaysia, Indonesia, Thailand, Vietnam, and Taiwan. To date, there are over 25 million downloads across these countries. For more information, please visit www.shopee.ph.